Do you wonder what it takes to publish your own kids' book? Self-publishing is a quick way to get your book published and you have more control over the process. Learn about self-publishing children's books and if it is the right decision for your project. Once you finish a book, you have to decide if you want to pursue publication. 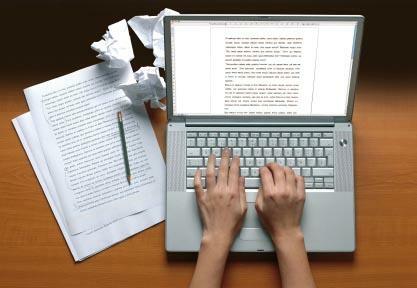 Publication is generally the goal of most writers when they sit down to write a book. However, you need to decide if you are committed enough to this particular book project in order to weather the rigorous road to publication, which begins with strict edits and includes numerous query letters before achieving publication. There are a lucky few who receive an offer for publication almost immediately. However, most people receive at least several rejections before receiving a publication offer. If you believe in your book, don't let any rejections prevent you from pursuing publication. Hire a professional editor to edit the book. It's really important to have an editor get the book in shape for publication. Find and hire an illustrator. Your children's book must have professional illustrations that match the tone of your characters and story. Determine the book format you desire. The book format includes the binding, font and page size. Some self-publishers have standard sizes for children's books. Shop around for self-publishing services. Print-on-demand publishers can save you money because you print such a small number at a time. Generally, smaller quantities or short runs, are more economical. As you shop around, ask for sample books so that you can see the quality they are offering. Consider printing the book files directly from your computer to the printer's printer to avoid the need for separate film for each page. Research printing costs to get an idea of how much money you need to save for the project. Generally, self-publishing costs more than $1 per book for about three thousand copies. Hire a book designer to design the book's layout and cover for a professional presentation. Sign up for an International Standard Book Number (ISBN), which costs about $150, with a $75 processing fee. Find out the book distribution schedule. Some self-publishers include bookstore distribution. However, many others require the author to contact bookstores individually and request that the seller carry the book. Market your book and convince book sellers to carry your book. When you decide to pursue publication for your kids' book, it is time to figure out you prefer traditional publishing or self-publishing. Both types of publishing work well for children's book authors. Traditional publishing involves a long process where you send query letters to potential publishers, a publisher requests your manuscripts, and eventually agrees to publish the book. You do not pay the publisher to publish the book. Once the publisher agrees to publish the book, they are usually in charge of every detail of publication, from editing to the book cover decision and marketing the book. In fact, if you decide to seek traditional publication, get a literary agent, to make sure that you understand the publication process and that the contract agreements are in your best interest. Self-publishing is set up so that authors can negotiate the process without an agent. If you decide to self-publish your kids' book, you will be the one to find an editor, shop around for the best publishing deals, and market your book. Another important difference is that you pay for the publishing of your own book. It is important to do your homework to prevent losing money on the editing and the printing. Some people feel that you can only make serious money from a book if you go through traditional publication. This may be true sometimes, but not always. Self-publishing often pays better than many traditional book royalty contracts. One of the major reasons books do well in traditional publication is because of the marketing. Self-published authors who are diligent in their marketing can make good money. So choosing between self-publishing and traditional publishing depends on you and your project.